Price includes: Lunch is included in price (fish, meat or vegetarian). 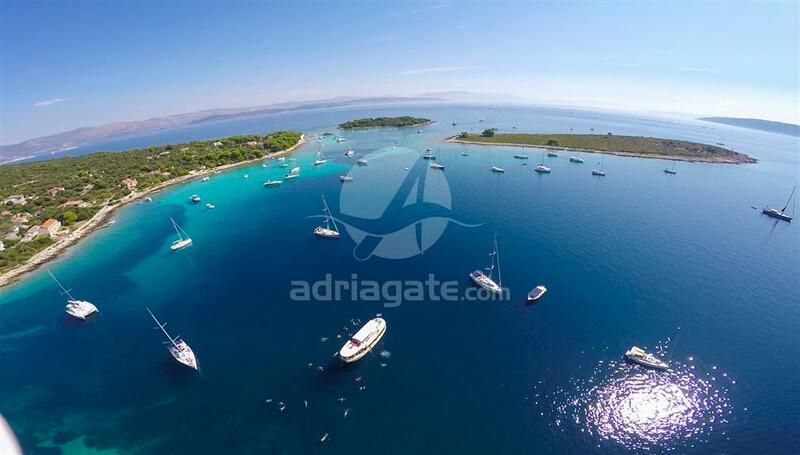 Price does not include: Transfer to Trogir. Would not it be nice to visit 3 islands , 3 Dalmatian pearls, in one day? You can spend a wonderful day with us on a wooden old ship as they used to build a long time ago. 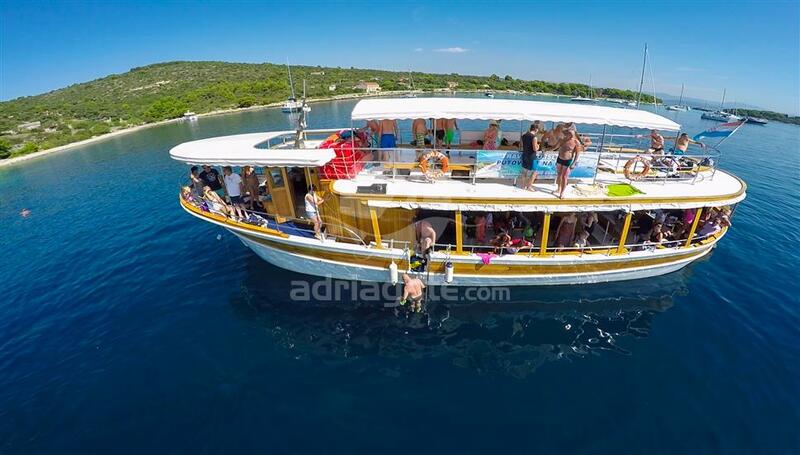 The start of the trip is in Trogir, a town under the protection of UNESCO, from where we head to the Blue Lagoon on Drvenik Veli where you can swim on one of the most beautiful beaches that greatly resembles tropical islands. We travel from the Blue Lagoon to Maslinica, a small fishing village on the island of Solta where you will have approximately 2 hours of free time for walking, swimming, sunbathing or refreshment at a local cafe bar. 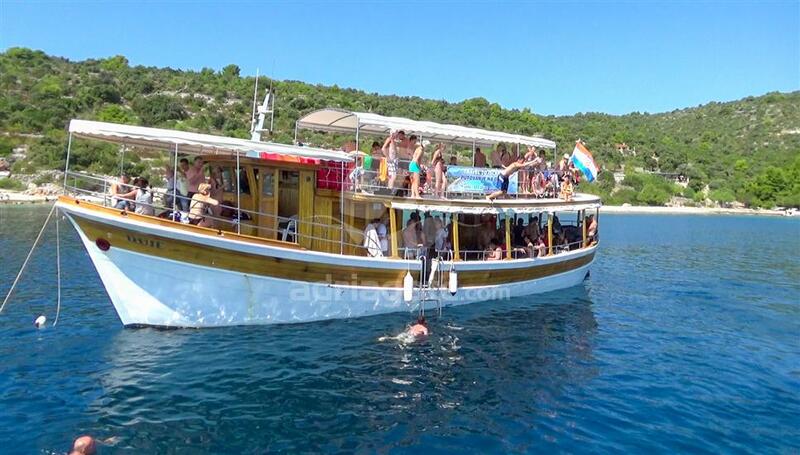 After Maslinica we sail to Labadus Bay where we have a lunch in our restaurant. It is necessary to decide 1 day befor if you would like to have a fish, meat or vegetarian menu. 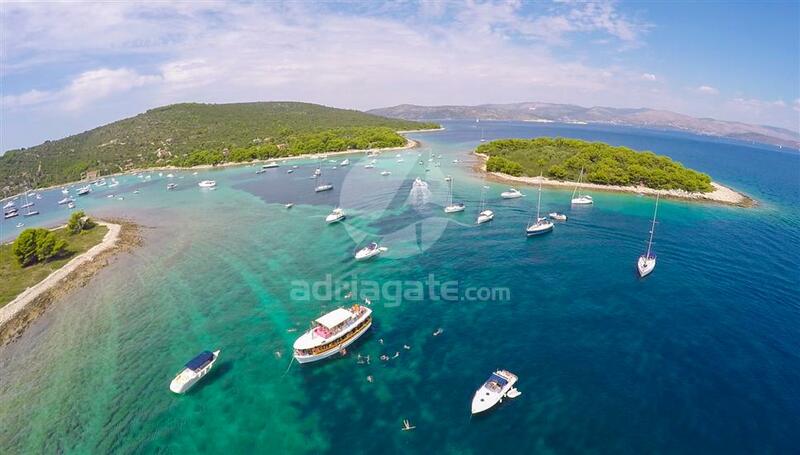 After lunch you have enough time to swim and relax on the beach and after that we return to Trogir, our starting point.